Never be late for class with this Harry Potter desk clock! 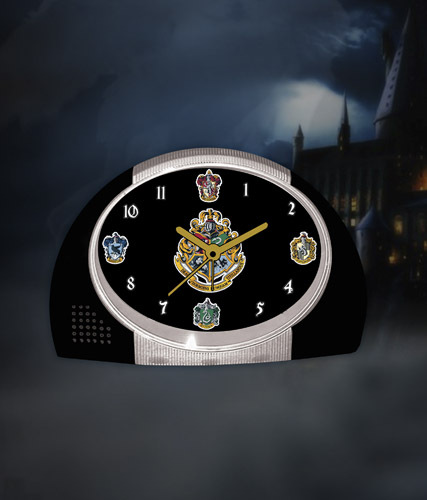 It features an alarm with on/off switch and snooze button, and the face is decorated with the four house crests and the Hogwarts crest. Clock measures 6.5″ W x 4.5″ H x 2.75″ D and uses two AA batteries, not included.